OptionGreeks App Data & Review - Finance - Apps Rankings! 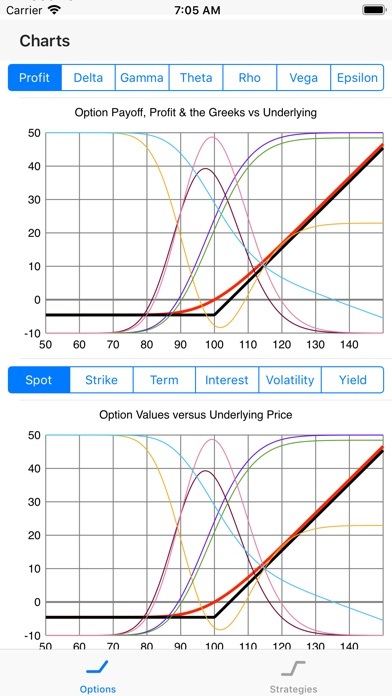 OptionGreeks is an educational tool to help users understand option pricing. 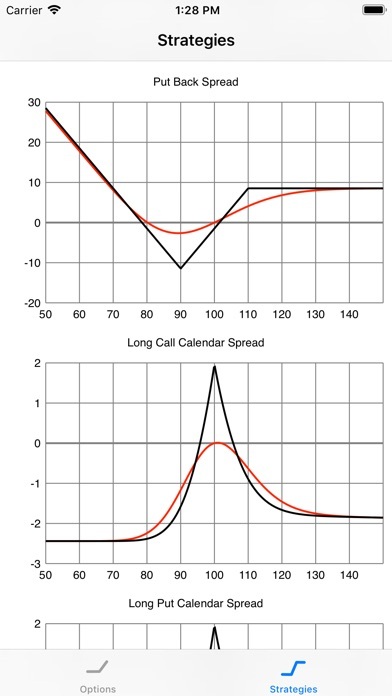 Options are derivative instruments, which can be traded on stock markets / exchanges around the world. They are derivatives in that their values and contracts are derived from the "price" of some other financial instrument (including individual shares, bonds, commodities, exchange rates, interest rates etc., or indices of these). 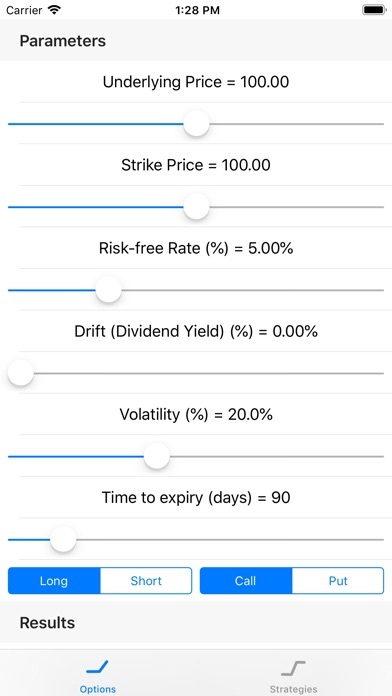 Options come in many variants, but this app focuses on European options (only exercisable at expiry). 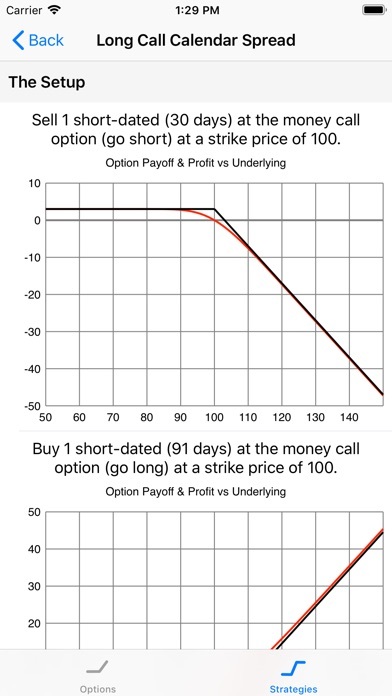 It covers Calls and Puts, from the buyers (long) and sellers (short) perspectives. 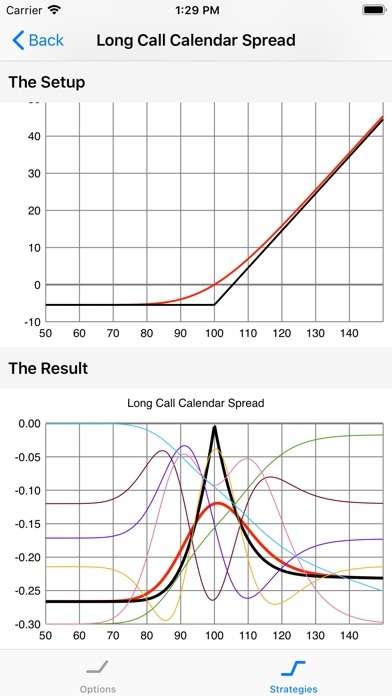 The calculator will calculate the theoretical price of options, given the users choice of the relevant parameters which include the spot price of the underlying instrument, the strike price of the option, the risk-free interest rate (discount rate), the volatility of the underlying spot price, the yield of the underlying instrument, and the term to maturity (or expiry) of the option. It will also calculate the values of the "Greeks", which includes delta, gamma, theta, rho, vega, and epsilon. 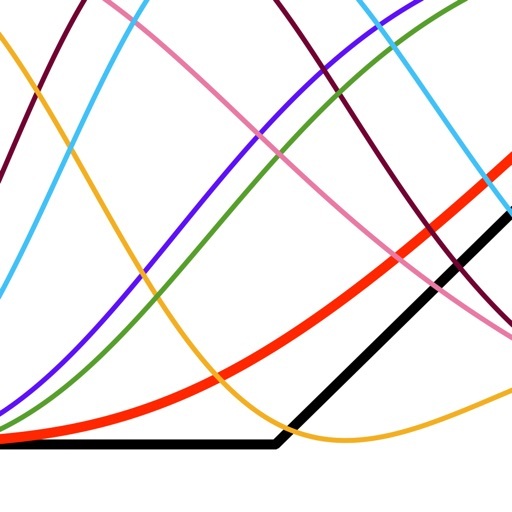 It also displays all of these in charts against each of the underlying parameters. 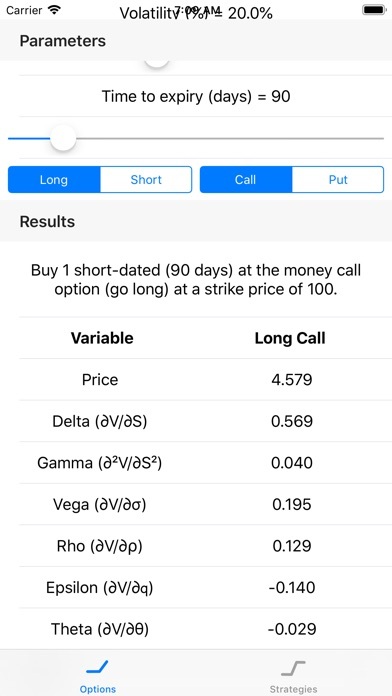 The applications OptionGreeks was published in the category Finance on 2019-02-09 and was developed by Joao Frasco. The file size is 7.74 MB. The current version is 1.0 and works well on 12.1 and high ios versions. Do you like OptionGreeks applications? Please share!